Survive Monthly launches soon and you have an opportunity to win a 3 month subscription! 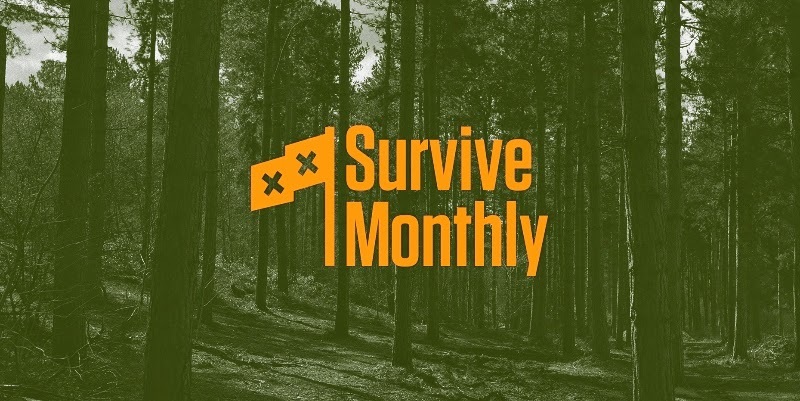 With Summer and camping just around the corner, Survive Monthly would make an awesome gift. Including tools, guides and tricks for survivalists, Survive Monthly is delivered right to your door! The box will include 7-10 items in it and sells for $39.99 per box. You can get a box each of the 12 months of the year. My curiosity is heightened! What kind of awesome products might Survive Monthly have in it? Survival techniques are always important. We just had a major storm earlier this week that left us without power. Thankfully we have a back up generator, candles, bottled water and more to get us through. Would you be ready in an emergency? Enter to win a 3 month subscription to Survive Monthly! I would love to see some snacks that do not expires for a while and probably flashlights or can openers. I subscribed to their email list with respect4thequeen@hotmail.com. I would love to see firestarter, 550 cord and a good compass. Also a solar universal charger.